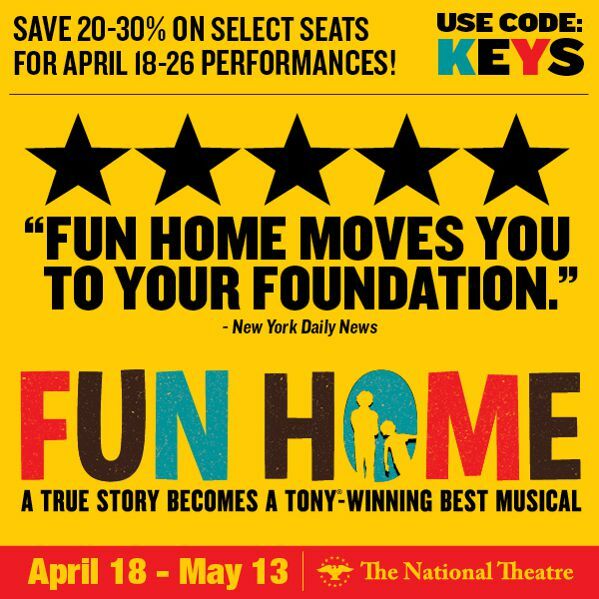 "Fun Home Moves You To Your Foundation"
"Every once in a while a Broadway musical comes along that surprises, moves and excites audiences in ways only a truly landmark musical can. The groundbreaking, life-affirming and exquisite new musical FUN HOME was the event of the Broadway season, receiving raves from critics and audiences alike, winning five 2015 Tony Awards including BEST MUSICAL and making history along the way. Based on Alison Bechdel's best-selling graphic memoir, FUN HOME introduces us to Alison at three different ages as she explores and unravels the many mysteries of her childhood. A refreshingly honest musical about seeing your parents through grown-up eyes, FUN HOME is extraordinary, a rare beauty that pumps fresh air into Broadway. (New York Times)."